The Kraken: Norse Legend or Recently-Discovered Creature? The Norse were accomplished sailors and navigators. But on their voyages, they often encountered things they could not explain, including sea monsters. One such sea monster, the Kraken, became firmly placed in Norse mythology because of its immense size and its habit of attacking ships and devouring sailors. There is good reason to believe that these legends are true…at least in part. The Norse and Viking legends describe the Kraken as a giant, tentacle creature with eyes the size of dinner plates. 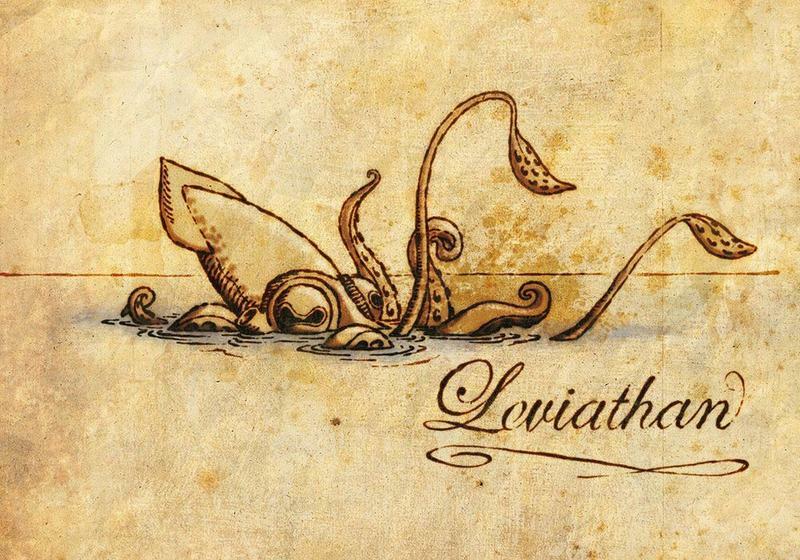 Most accounts compare the Kraken to a squid or octopus but note that it is much, much bigger. 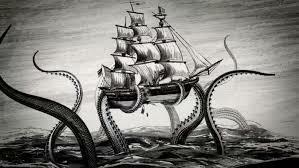 Some stories claim that the tentacles of the Kraken are more than a mile long. Others say that the sea monster is so large it can be mistaken for an island. The Kraken is first referenced in a 13th-century Icelandic work titled Orvar-Oddr. 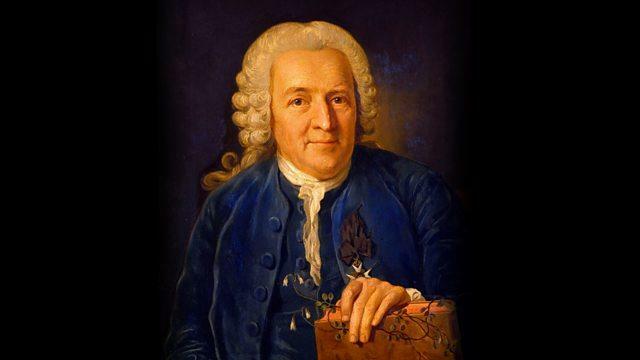 A hero saga, the literature makes mention of a sea monster named Hafgufa, which is described similarly to the Kraken. Another text of the time, a scientific journal dated around 1250 and titled the Konungs skuggsia work, describes the Kraken in great detail and even comments on the monster’s unique feeding habits. It claims that the Kraken would regurgitate food particles from its mouth into the sea. Fish would be attracted to the food and swarm to feed. The Kraken could then scoop up the school of fish in one gulp. The Kraken, according to the legends, was a dangerous sea monster. It could create whirlpools that could sink ships. 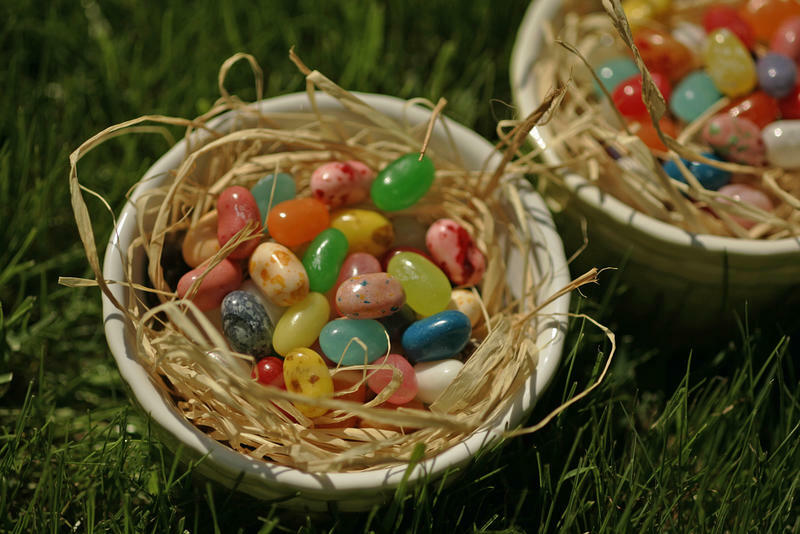 It could also lure in sailors who mistook its great size for an island. But most of the Kraken attack stories are eerily similar. 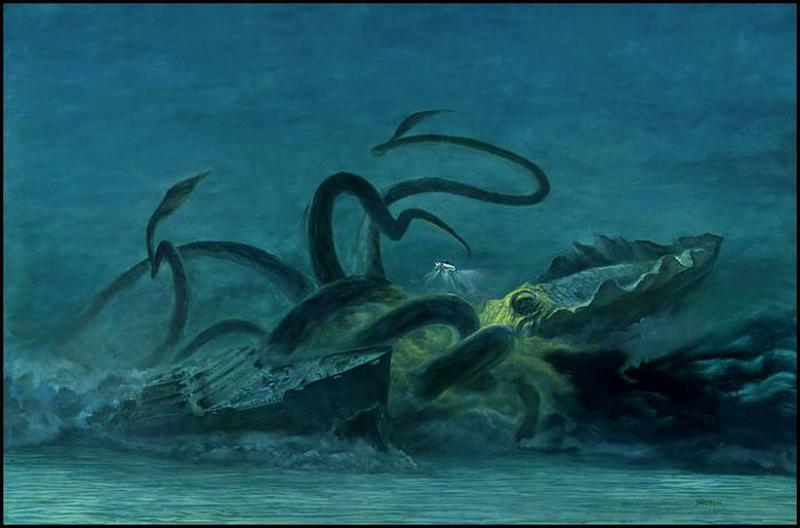 The giant beast would rapidly ascend from the depths to wrap its monstrous tentacles around a ship, pulling it under the waves where it could devour the sailors. 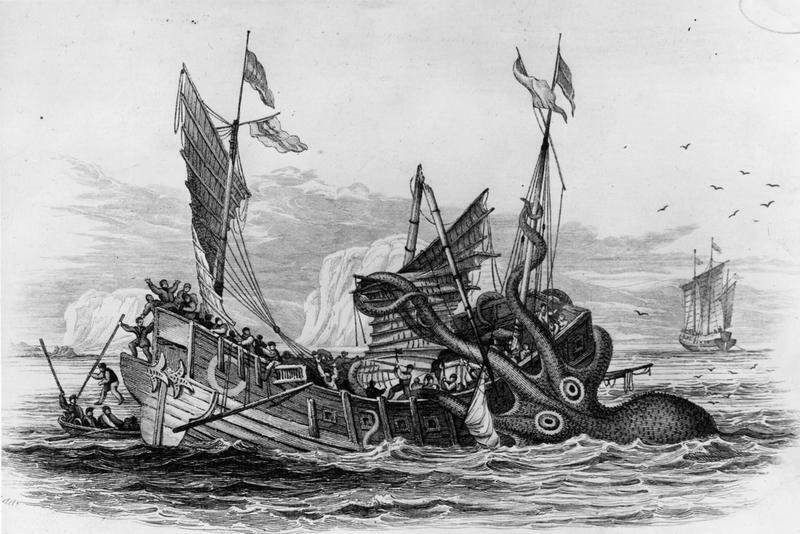 Numerous drawings and etchings still exist showing a Kraken attacking a vessel. 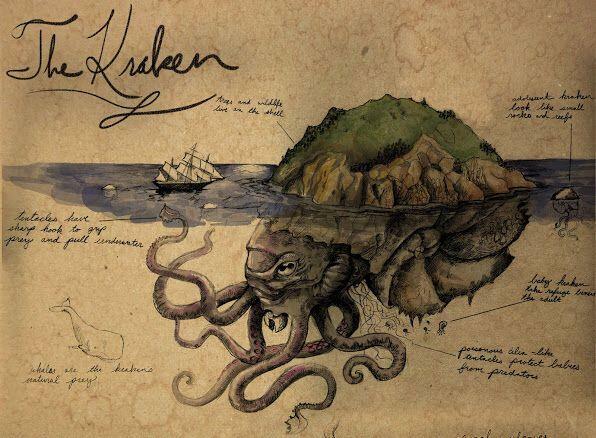 In many cases, the myths and legends surrounding the Kraken serve as cautionary tales. For sailors in the 15th and 16th centuries, the oceans were a fearsome, inhospitable place filled with the unknown. Stories about sea monsters were intended to keep cowards on dry land and to keep seasoned seamen alert and vigilant while on the water. The Kraken was a reminder to men that they are intruders into the world of marine monsters…and that they should tread lightly. Based on the ancient descriptions of the Kraken, most biologists believe that what ancient sailors were describing were giant squids. A member of the squid and octopus family, giant squids are an elusive, deep-ocean animal that can grow as long as 45 feet in length. 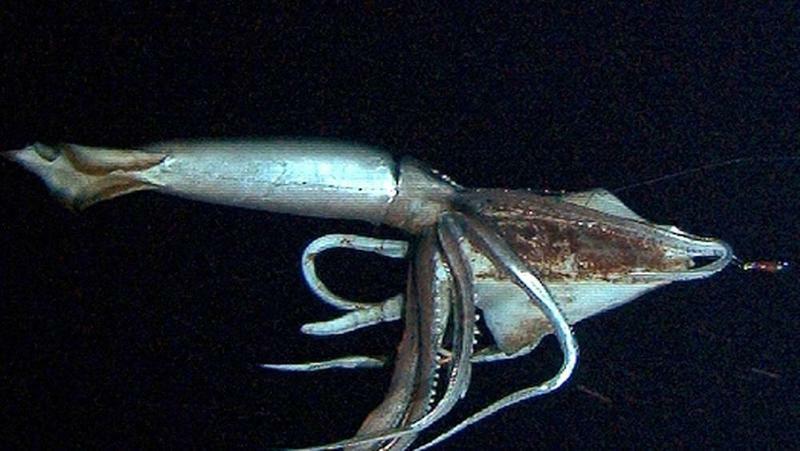 For such a large animal, researchers know very little about the giant squid. Only a few carcasses have washed ashore for scientists to study. It seems that the giant squid if it really is the fabled Kraken, became much shyer and more of an introvert since the days of the Viking sailing expeditions. The animal is rarely seen and even more rarely photographed. The first photograph of a live squid in the ocean was snapped by Japanese scientists in 2004. The first video of a giant squid was filmed in 2012. 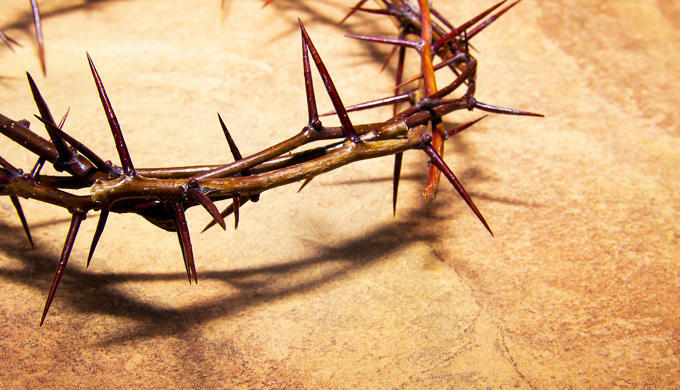 If One Monster Myth is Real, Could Others Be? Since it seems likely that science has proven that the Kraken legend is true, that brings up serious debates among scientist, anthropologists, and crypto-zoologists. Could legends of other fantastical beasts and monsters also be true?